Serve up OST file Items to view: Emails, Attachments, Contacts, Calendars, etc. 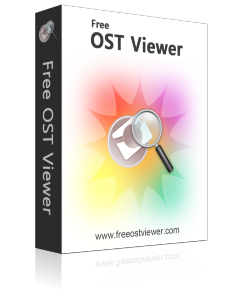 Free OST viewer allows users to open multiple OST files at once. After opening offline data file, tool also shows preview of distinct properties of OST emails like from, received, to, sent etc. When OST file is in corruption mode, users’ needs to recover it first in order to view its content. OST viewer software offers scanning in 2 distinct modes i.e. Quick Scan and Advance Scan. With OST viewer software, you can also preview permanently deleted emails, as the tool is capable enough to restore them back without losing any vital information contained in it. With free OST viewer, you can preview different items of OST file like emails, tasks, journals, contacts, etc. It also gives various view options (Hex, MIME, RTF, Header, etc.) to view emails. Connectivity with Exchange server or MS Outlook is not required in order to view OST file. If you want to open or read content of OST email, then what all you need is OST viewer utility. Software usually previews OST file items in Horizontal view as its default view type. But you can also change the view type to Vertical view according to your requirement. Outlook OST Viewer 4.2 Updated! Outlook OST Viewer 4.0 Updated! Outlook OST Viewer 3.5 Updated! Outlook OST Viewer 3.0 Released! Can you differentiate Quick and Advanced Scanning Mode in a much elaborate manner? Definitely, see these two diverse types of scanning checkboxes are programmed and inbuilt with the prone of corruption and their levels. On one hand, quick mode only fixes the mediocre corruption issues and on the second Advance mode of scanning is attempted by users who may be trying to dispel big glitches of OST file. Does tool take care of my data during recovering? 100%, This tool ensures about the data which have been going through the scanning or recovery mechanism of OST viewer. This tool is too attentive about the data and its structure and does not manipulate it. Might be, I have lost a few emails from my offline OST file. Now, is it possible to retrieve those emails? Recovery of deleted items counted among as one of the primary feature of Outlook OST Viewer and yes the same feature will help you to restore or view those OST emails.